Handmade with love. Made to last. 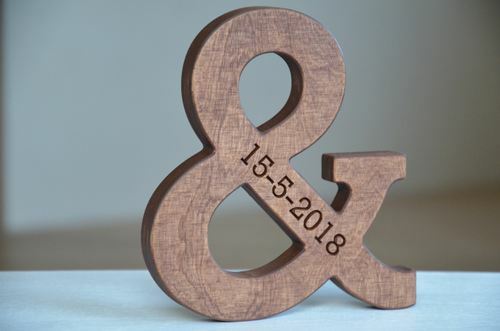 6 inches (15cm) tall wood letters and a personalized ampersand with the text (or date) engraved on it. 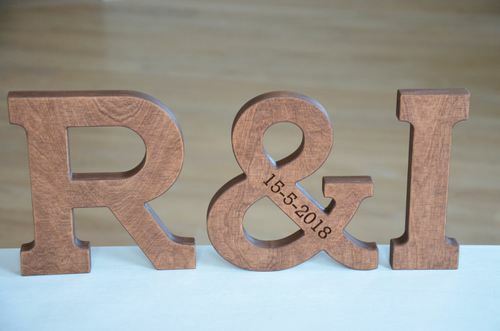 The price listed is for 2 wood letters and 1 ampersand - you can choose the font. 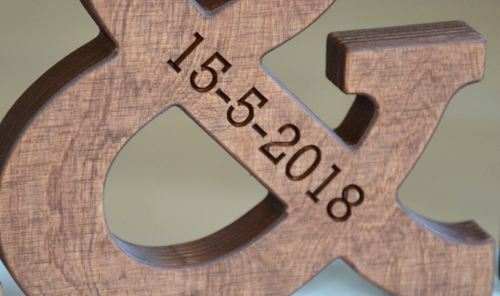 Made of birch plywood, polished with brown beeswax polish - we offer brown, red or black polish. 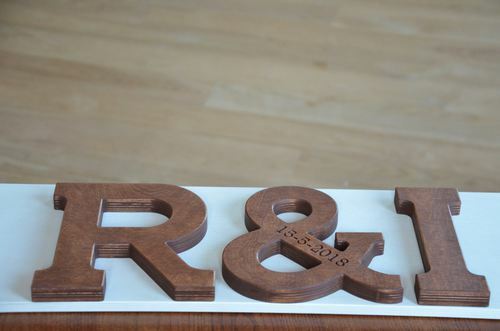 These letters will make a great wedding decor, a table decor or a wedding gift as well as a gift on the 5th Anniversary. 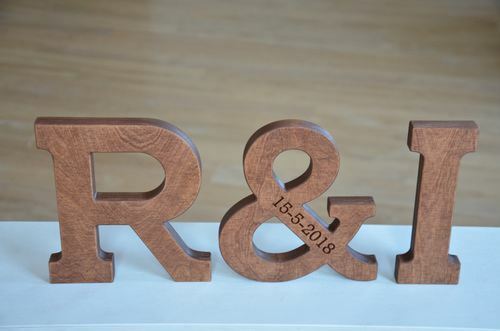 When placing the order, please choose the finish of the wooden letters and let us know the text you want to engrave on the wooden ampersand. Welcome to visit our Etsy shop!